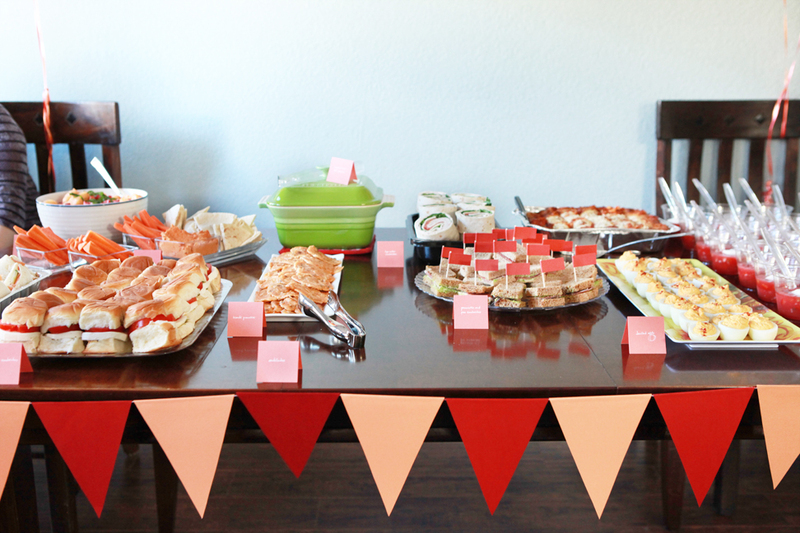 I was glad to be a part of this baby shower given for some good friends last summer. The color palette consisted of warm reds and oranges, partly because the shower was for a girl and partly because those colors seemed to evoke summer. A summer sunset, perhaps? The shower was a great team effort and much attention and care went into the planning. 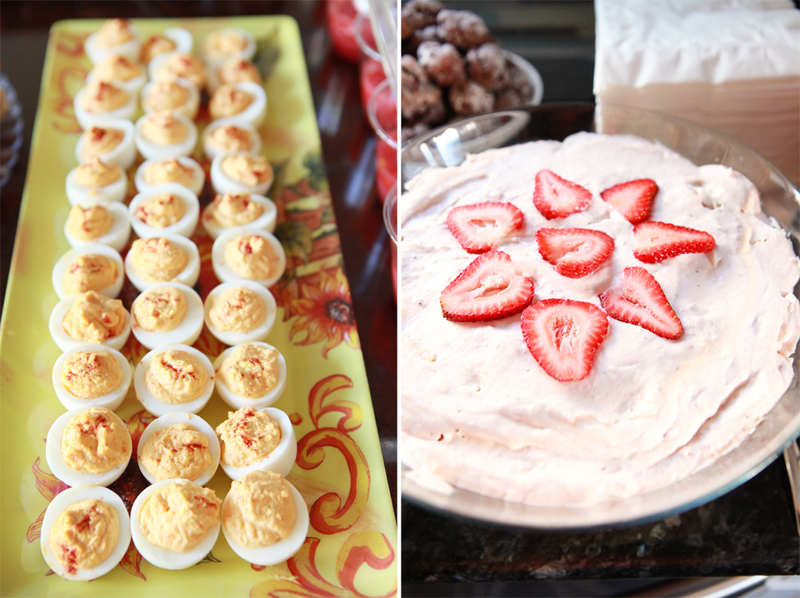 Most of the foods served were also red and orange, which added to the summer sensibilities and feel of the gathering. The favors were candy-filled cherries made from tissue paper, floral wire and floral tape. 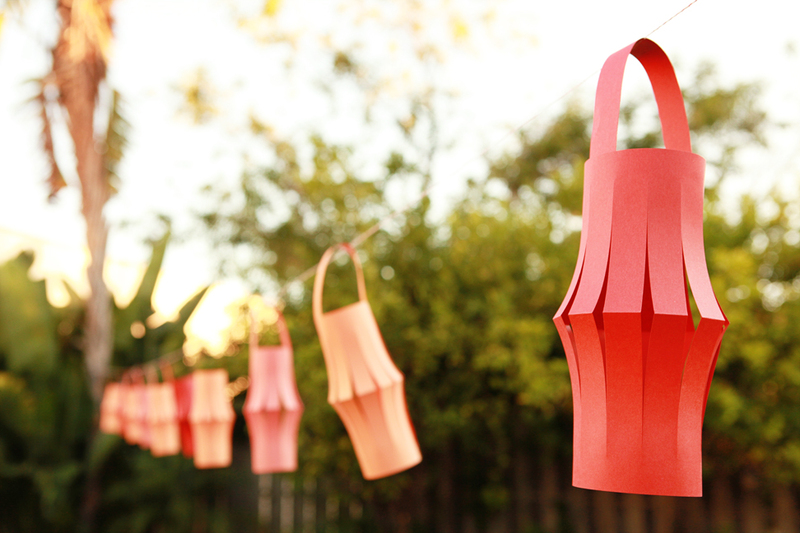 The paper used to make the pennants and lanterns was from Paper Source. 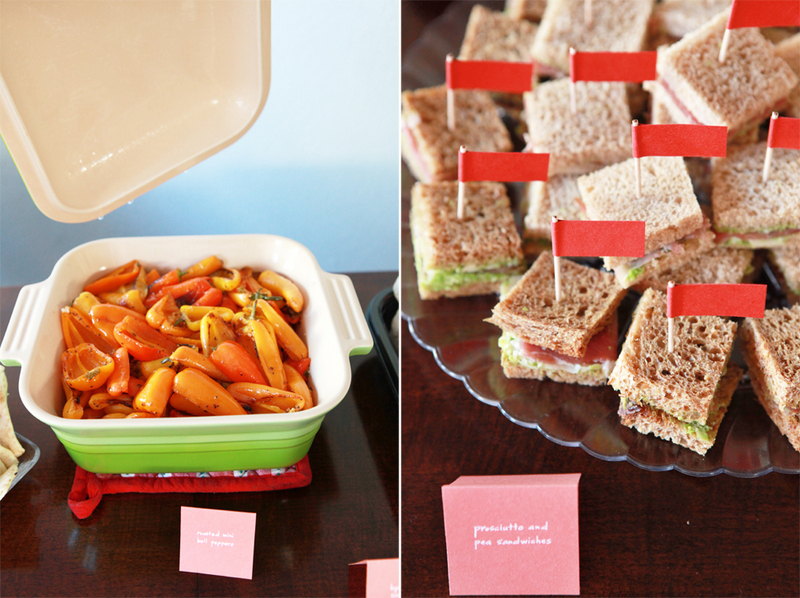 This was a great example of how color can inform and inspire all aspects of a party, including food!